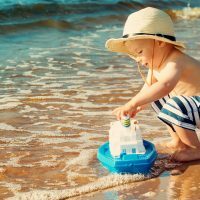 They are the dominate feature, that colorful first thing your kids notice as your family car, taxi or shuttle bus gets closer and closer to port. It’s the cruise ship’s water park! 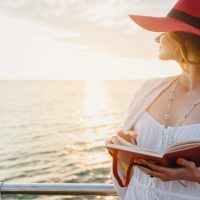 And let’s be honest — aside from the endless soft-serve ice cream — the water park is the next best thing on a family cruise. 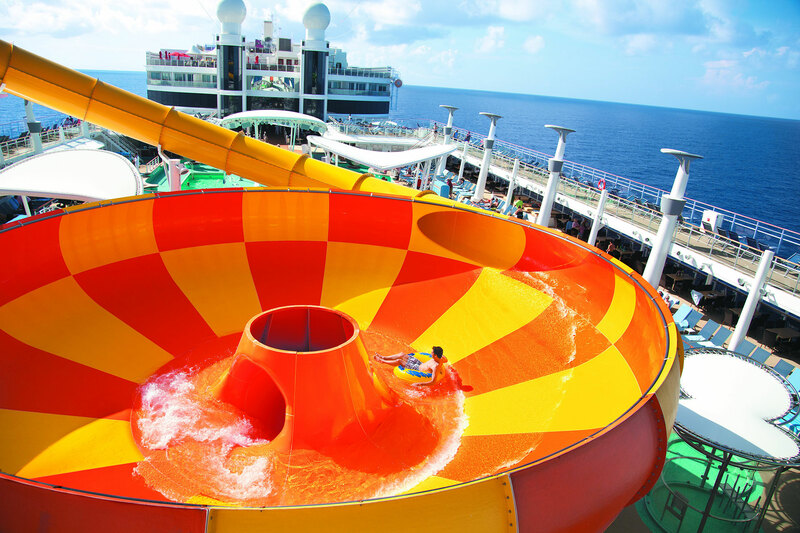 Here, we rank our favorite cruise ship water parks. 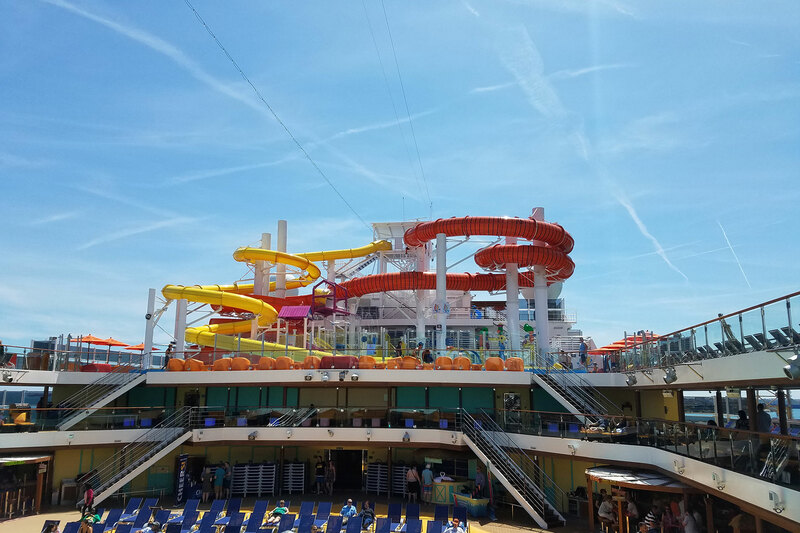 The AquaDuck spans over 750 feet of tubes that snake up, down and actually out over the side of the ships while providing incredible views of the sea — for those brave enough to look, that is! We love the AquaDuck because it’s a two-person raft ride that actually goes uphill like a roller coaster (thanks to water jet propulsion) before ending in a lazy river. That’s a combination no other cruise ship water park can match. At night, there are multicolored lights to make the AquaDuck even more spectacular. 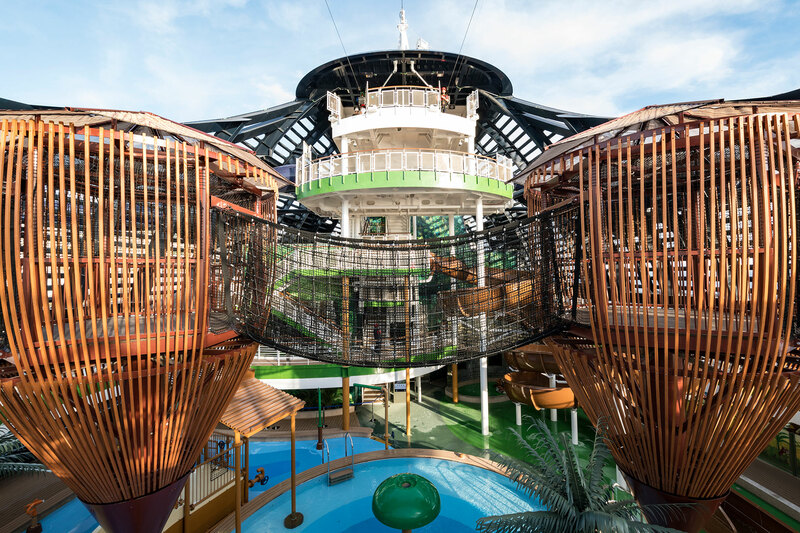 When you combine the three deck-high thrills of The Perfect Storm’s three waterslides and the massive kids’ wet and wild zone Splashaway Bay nearby, Symphony of the Seas and Harmony of the Seas rank high for all-around watery fun at sea. Pro tip: if you want to slide down the yellow one, the line is much shorter! 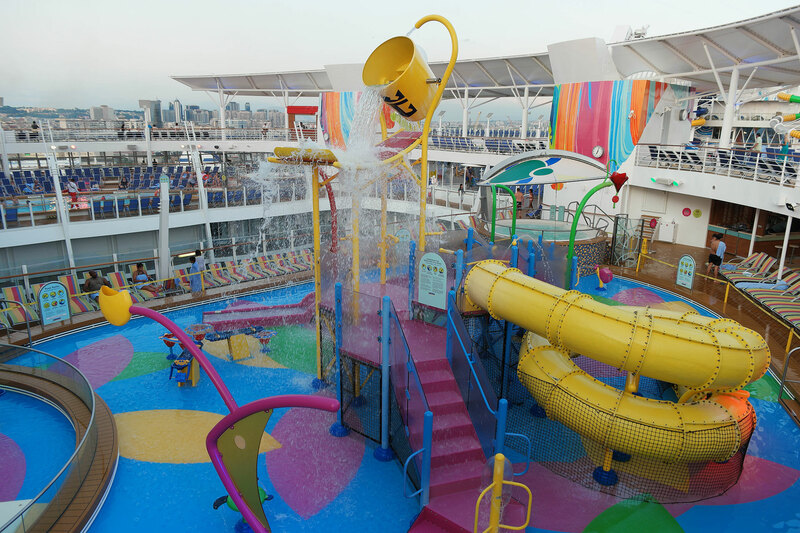 A compact zone of splish-splash fun for the whole family sits high atop the Carnival Horizon. Dr. Seuss Waterworks is dominated by the colorful red and white Cat in the Hat slide and the twisting Thing 1 and 2 waterslide, appropriately colored blue like their whacky hair. The park also includes a youthful splash area with smaller slides and a big bucket regularly pouring hundreds of gallons of water down onto happy kids. Gulp! This thrill ride takes cruisers out over the edge of the ship on a 20-foot curve after the floor falls away like a trap door and you begin your nearly 40-foot ascension to the top deck. A memorable splash finale occurs after you plummet 212 feet through a translucent tube. 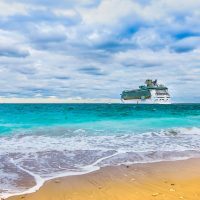 Not to be outdone in the ‘hanging off the edge of the ship’ department, Norwegian’s Ocean Loops is a multistory, double-loop waterslide that extends 11 feet off the ship and nearly 160 feet above the ocean! If that’s too much for you, the Bliss and Joy also have the Aqua Racer, a multi-story tandem inner tube slide that is contained fully within the width of the ship! 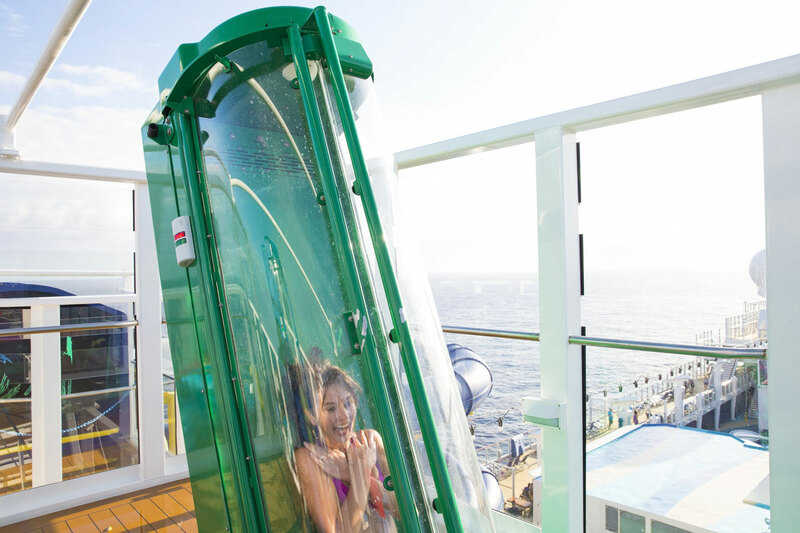 One of the more interactive water attractions at sea has five waterslides in total, including two racing slides with clear loops extending over the edge of the ship, high above the ocean below. There’s also a 367-foot waterslide with lights and music to make the ride down even more entertaining! Side by side waterslides, hundreds of feet above the top deck of the Vista, are fast and fun. The Kaleidoslide is a visual delight with spirals of rainbow colors in the orange tube to illuminate the way down. 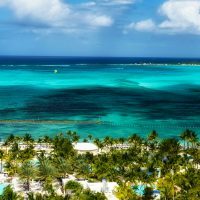 The Norwegian Escape and Getaway also have the tandem fun of the Aqua Racer and the family fun of Aqua Park, but add in the daredevil Free Fall. 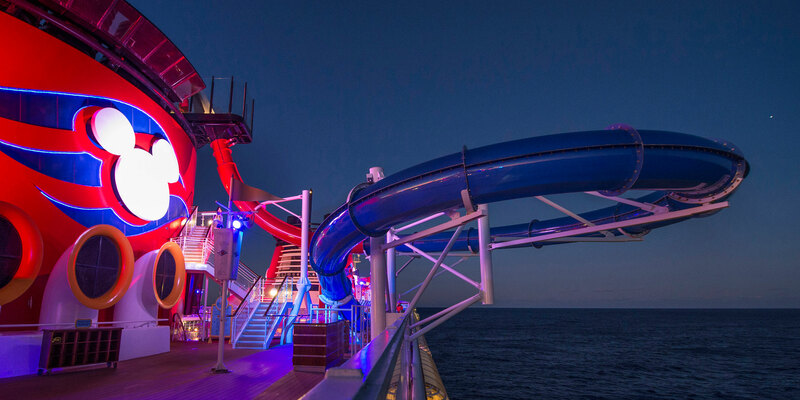 This waterslide is the fastest at sea, at 4G speeds you wish your phone could achieve while cruising! Located four stories above the pool decks at the top of the ship, The Epic Plunge takes waterslide lovers on a 200-foot journey with or without an inner tube, before swirling you around.